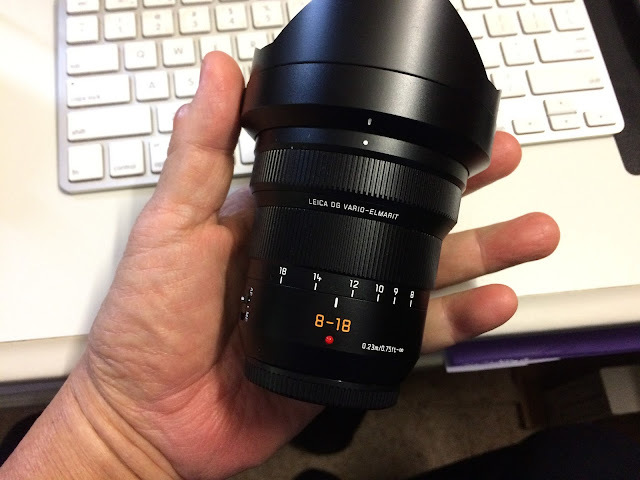 After I published the review of the Panasonic Leica DG 8-18mm f2.8-4 lens, a reader wanted to know how good is the lens at FULL f/2.8 and if this delightful Leica M43 zoom any good at close range. Sadly, I do not have this Leica zoom anymore, it has been returned to Panasonic New Zealand! Digging into the hundreds of shots I took with this lens and examining the embedded meta data, I was relieved that some shots were taken at full f/2.8 setting! Before I start, I would like to point out that the "bright" f/2.8 setting is only available at 8mm (16mm eq) zoom setting. As soon as you move away from 8mm, you are getting a little less light, until you ended up with f/4 at 18mm.